The 2018 golf season is really moving into gear now, with the first major of the year – The Masters, from the resplendent Augusta National – just a matter of weeks away. Next week punters can look forward to the first of the year’s money-spinning WGC events, too. The WGC-Mexico Championship was a new addition to the PGA schedule in 2017, but with the winner receiving a cool $1.5 million for their troubles it’s fair to say that it’s already become rather popular amongst the players. This is the second annual trip to Mexico on the PGA Tour after the OHL Classic, and this event had both a name and location change after the former host – Donald Trump – made scathing remarks about the Mexican people. The PGA decided to move the event from Trump’s Doral course in Florida to south of the border. The difference with WGC tournaments is that the field is automatically derived from the various rankings systems worldwide. So, the world’s top 50 players according to the Official World Golf Ranking (OWGR) receive the invitation, as does anyone in the top 30 of the FedEx Cup, the top 20 players from the European Tour and the best two from each of the Asian, Japan, Australasian and Sunshine (South Africa) tours. The result is that a rather eclectic field will tee up at Club de Golf Chapultepec in the heart of Mexico City, and the venue ensures a high-quality contest in which the best in the game can show off their skills - an ideal situation for golf betting fanatics. One of the first things spectators noticed here last year is just how ‘un-Mexican’ this Club de Golf Chapultepec appears to be. Images of scorched grass and desert-like conditions were well and truly kicked to the kerb when the players rolled up: this course has an almost European feel to it. With tree-lined fairways and strategically placed bunkers and water hazards, Club de Golf Chapultepec is reminiscent of the great parkland tracks on the continent and also American layouts like Colonial Country Club in Texas and TPC Sawgrass. That European link is interesting for punters because the leaderboard certainly suggested that players from this side of the pond enjoyed matters in Mexico. The Race to Dubai champion, Tommy Fleetwood, finished second while the world number two, Spaniard Jon Rahm, and Englishman Ross Fisher were tied in third. The likes of Thomas Pieters (Belgium), Rory McIlroy (Northern Ireland) and Tyrrell Hatton (England) helped to round out the top ten; the indication being that conditions at Chapultepec are something of a leveller in an event that the American players might have expected to dominate. The winner was from US soil, however, and he’s the best of a very good bunch. Dustin Johnson showed why he’s the world number one when gliding to victory here 12 months ago, overcoming a one-shot deficit to overnight leader Justin Thomas to take the spoils and the rather handsome paycheque into the bargain. 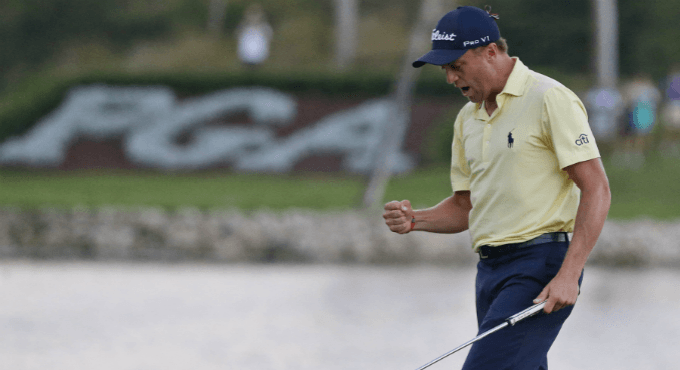 The capitulation of Thomas, who would go on to win the PGA Championship and be crowned FedEx Cup winner at the end of last year, was something of a surprise. He fell from first to fifth on an action-packed Sunday, and will certainly be looking to make amends after the world watches him fail to come back. The online bookies' favourite is Dustin Johnson, who’ll look to defend his crown in Mexico. He’s been in sublime form this term, but a poor final round at the Genesis Open may just be enough for a punter to give him the swerve. Jordan Spieth is an intriguing play this week. In a reversal of his normal modus operandi, the Open champion’s tee-to-green game has been very good so far this season and his normally rock-solid putting stroke has let him down. But he hinted at making a few changes to his delivery at the Genesis Open in his last start, and a ninth-place finish there suggests he’s just starting to find some form with the flat stick. For our money, the most reliable wager this week will be made on Justin Thomas, who perhaps should've won this event 12 months ago. That disappointment didn’t negatively impact upon his season however – quite the opposite in fact – and he’s striking the ball beautifully at the moment. Backing a player with five tournament wins to his credit since January 2017 is a smart move. Be sure to take a look at some of the longer-priced Europeans too. Alex Noren (odds of 25/1 at Betway) and Thomas Pieters (odds of 28/1 with William Hill) have been in fine form Stateside, and both also have the advantage of playing countless times on parkland courses in England and on mainland Europe. Both are proven winners when the spotlight is shining at its brightest.